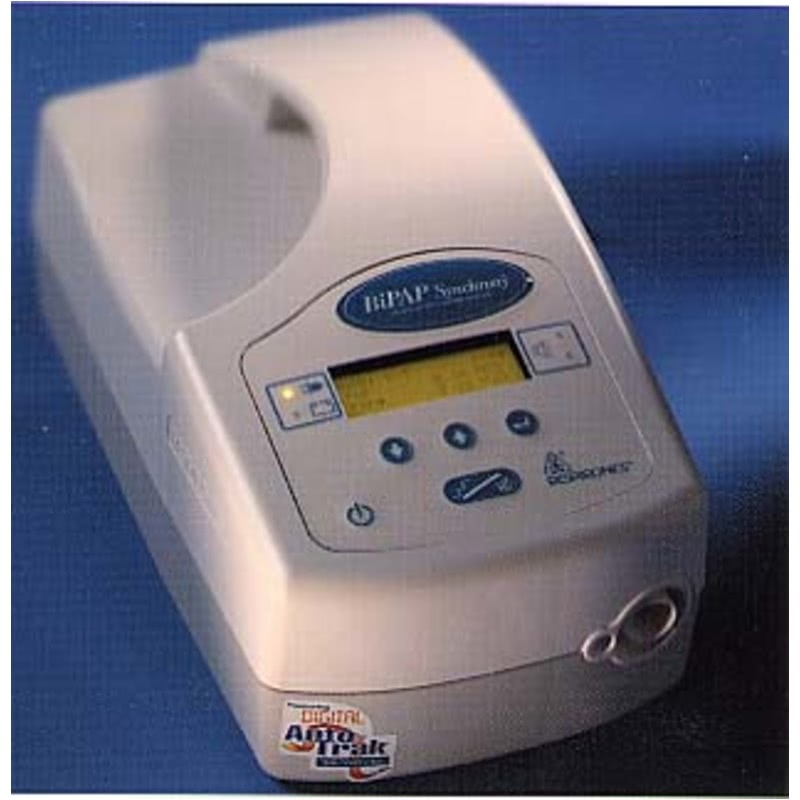 Newer Model Available: REMstar BiPAP ST Gray Model with Smart Card. 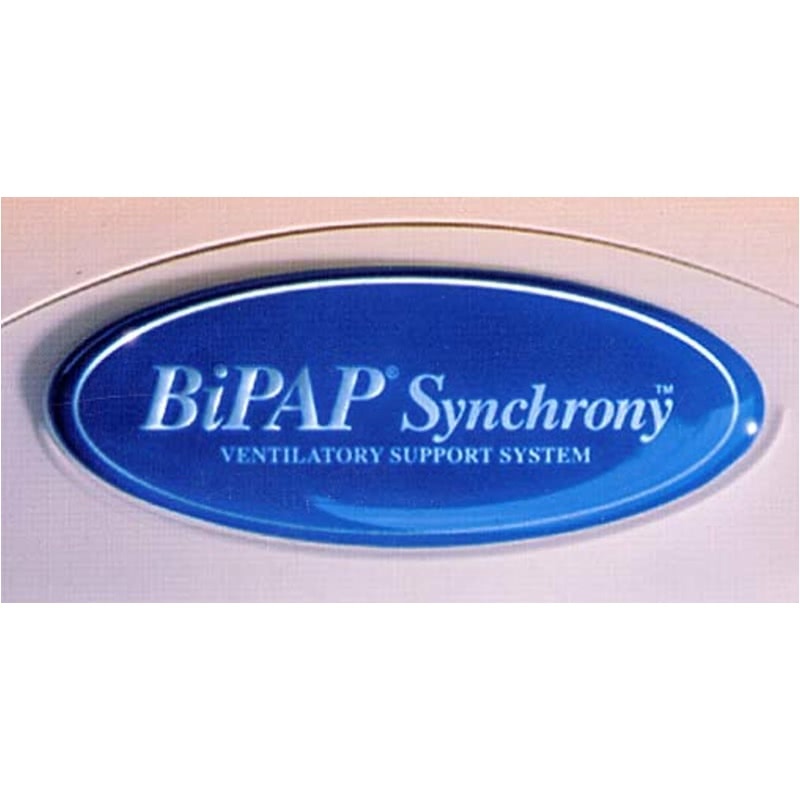 The Bipap Synchrony is a powerful new non invasive ventilator that combines the latest innovations of the BiPap Digital Auto-Trak Sensitivity, Vent ramp, and adjustable RiseTime technologies for more natural, and truly comfortable, ventilation. 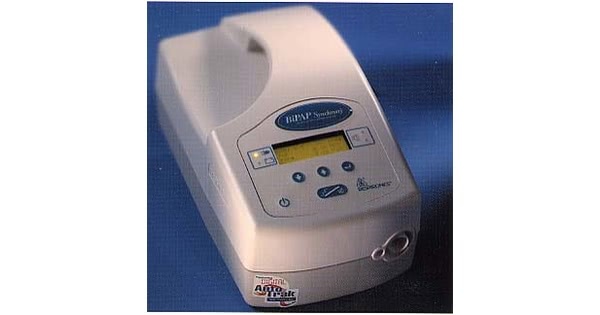 But its also more than a better BIPAP; its a revolutionary machine that can be upgraded as the users needs change. Digital Auto-Trak Sensitivity continually monitors and adjusts to the user's breathing patterns, and along with RiseTime control allows for greater user comfort. Compact, lightweight design weighing only six pounds,allows the unit to be easily carried. The unit is DC-compatible so it's easy to connect to an external battery. Vent Ramp allows users to adapt to their settings by slowly increasing pressure levels to meet their prescribed pressure level in an adjustable number of breaths. Pressure Control Mode,when integrated with other modes, offers more patient treatment options. 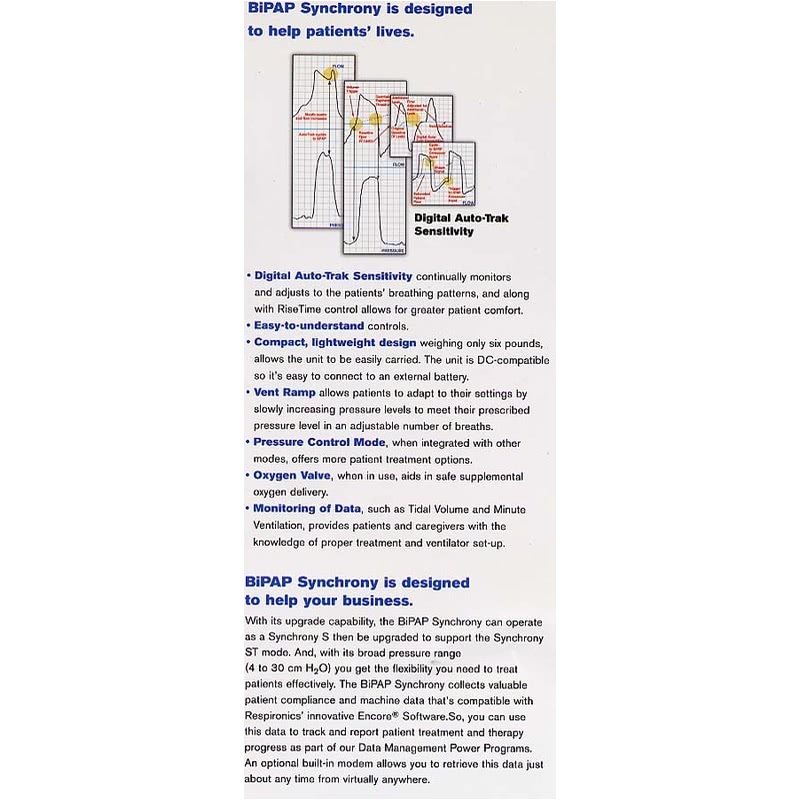 Oxygen Valve,when in use, aids in safe supplemental oxygen delivery. Monitoring of Data, such as Tidal Volume and Minute Ventilation, provides users and caregivers with the knowledge of proper treatment and ventilator set-up. Dimensions 12" x 7" x 6"
Digital Auto-Trak Sensitivity is a revolutionary piece of built-in software designed to detect the onset of inspiration and expiration in order to synchronize the delivery of noninvasive b-level therapy. Auto-Trak Sensitivity immediately responds to respiratory changes. assuring you the comfort they need throughout therapy. Breath-to-breath sensitivity is automatically maintained, minimizing the need for manual sensitivity adjustment. The system continually monitors and adjusts itself to accurately track the user's breathing patterns. Digital Auto-Trak Sensitivity's advanced leak-sensing technology ensures a breath-by-breath response to your breathing patterns and circuit leaks, providing optimum support with every breath.